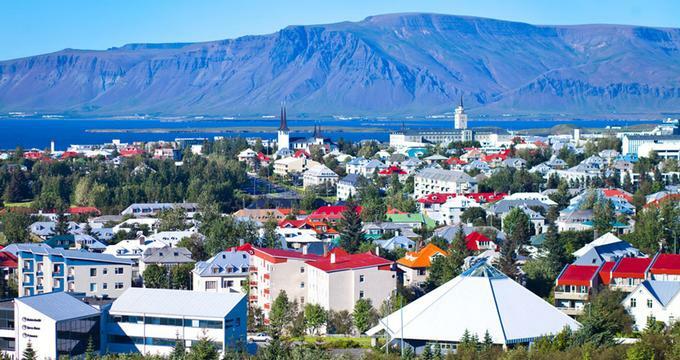 Reykjavik, Iceland, is a fascinating capital city where nature and modern lifestyle combine in surprising ways. Visitors are surrounded by stunning scenery, beautiful architecture and a diverse selection of museums, restaurants and hotels. Dine at Perlan, a revolving restaurant with 360-degree views of the city, visit the Northern Lights Center, swim at the Nauthólsvík geothermal beach, take a free guided walking tour of the city, and listen to an opera performance. Here are the best things to do in Reykjavik, Iceland. 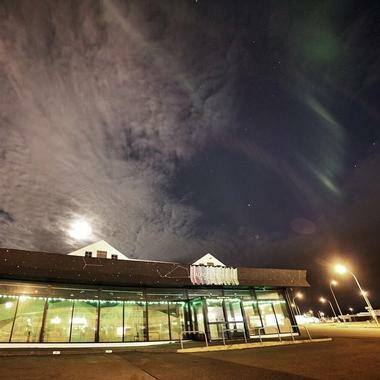 The Aurora Reykjavík Northern Lights Center is one of the best places in the world to learn about the Northern Lights. The center is divided into a number of sections detailing the history of the Northern Lights, famous legends and stories surrounding the Lights and captivating Northern Lights photography from around the world. Interactive displays take you on a journey back through time to learn about how the Lights have affected cultures around the world and a specially equipped ‘photo booth’ teaches you how to adjust your camera to capture the best images of the auroras yourself. A modern theater shows a 13-minute HD film that features some of the most magnificent auroral displays seen over Iceland, accompanied by soft music to create a relaxing and serene experience (Phone: +354 780 4500). Reykjavik 871 +/-2 The Settlement Exhibition is a fascinating display about life in Viking times, based on archeological remains that were excavated in Aðalstræti in 2001. The remains were discovered to be the oldest relics of human habitation in Reykjavík, with fragments found dating to before 871 AD, as well as a longhouse dating back to the 10th century. Reykjavik 871 +/-2 The Settlement Exhibition is one of the best things to do in Reykjavik. Using multimedia and digital technology, the exhibition showcases what life would have been like at the time of the first settlers in Iceland, displaying a variety of interesting artifacts found from archeological excavations in central Reykjavík. 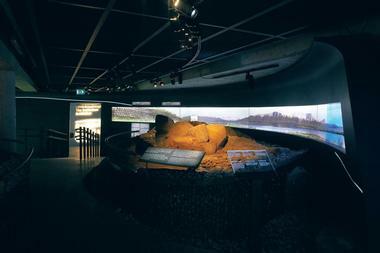 Touch screens provide information about the Vikings, and other North Atlantic cultures. (Phone: +354 411 6370). Established to create an outdoor recreational area for people to sunbathe, sail and swim in the sea, Nautholsvik Geothermal Beach has fast become a haven for both summer and winter outdoor fun for locals and visitors alike. 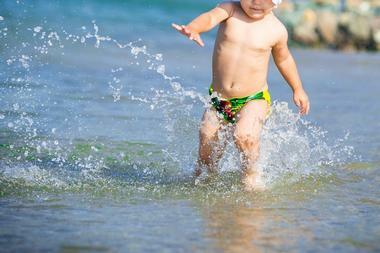 The beach has hot-tubs, as well as steam-bath, changing facilities and showers. Sea swimming, which has long been an Icelandic past time, is possible even during the winter months. If you are looking for things to do in Reykjavik with kids, head to this unique beach. 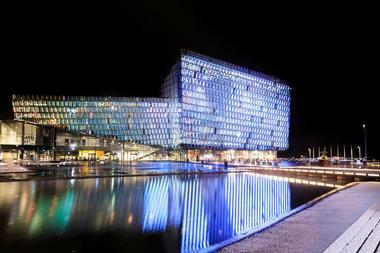 The Harpa Concert Hall and Conference Centre is a concert hall and conference center in the heart of the city that hosts a variety of concert performances and events throughout the year. Located by the old harbor and overlooking the North Atlantic Ocean, the new concert hall was designed by renowned visual artist Olafur Eliasson to echo Iceland‘s dramatic and dynamic natural surroundings with a gleaming glass façade that reflects the sea, sky, and city. 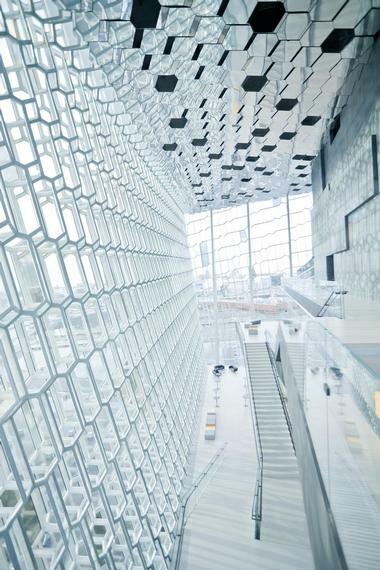 Home to the Iceland Symphony Orchestra and the Icelandic Opera, Harpa Concert Hall and Conference Centre has four halls, the largest of which can accommodate up to 1,800 guests. The Center also features a spacious exhibition area, some smaller meeting rooms equipped with state-of–the-art equipment for corporate functions and private events, and catering services. Standing sentry above Reykjavík, Hallgrímskirkja Church is the city’s principal landmark, whose tower can be seen from everywhere in the city. 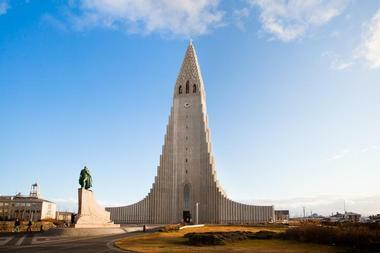 Designed by Guðjón Samuel in 1937, the church’s most striking feature is the tower, which is an architectural gem that climbs into the sky. Inside, the second most notable feature of the church is the massive pipe organ, which stands 15m tall and weighs 25 tons. 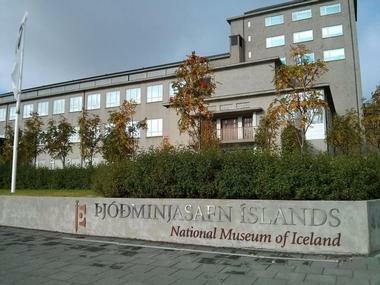 The National Museum of Iceland (Þjóðminjasafn Íslands) celebrates the history and culture of the Icelandic people with a variety of permanent and temporary exhibitions, photographic collections, and interactive displays. The museum’s main permanent exhibition, ‘Making of a Nation - Heritage and History in Iceland’ features over 2,000 objects and more than 1,000 photographs dating from the Settlement Age to the present, with one of the main objects being the Valþjófsstaður door, a celebrated Viking carving depicting a version of the Lion-Knight legend. The museum boasts a Museum Café, a shop, and a collection of historic buildings that form part of the museum’s collection. If you are wondering what to do in Reykjavik, Iceland on a rainy day, this is a great place to visit (Phone: +354 530 2200). Reykjavik Residence Hotel is a luxurious boutique apartment hotel located in the fashionable ‘101’ district of downtown Reykjavik that offers discerning travelers a comfortable home-away-from-home experience. Seventeen elegant apartments are provided in a variety of styles, ranging from neat studio apartments to junior suites, and one-, two-, and three-bedroom apartments for families. Apartments are cozy and inviting with private bathrooms boasting showers and bathtubs, fully equipped kitchenettes with modern essentials, spacious living and dining areas and deluxe amenities, including flat screen televisions and free Wi-Fi. 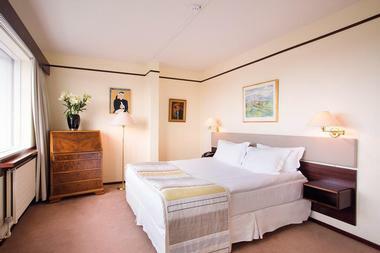 The hotel is conveniently located within walking distance of the main shopping streets of Laugarvegur and Skolavordustigur, where there are a number of restaurants, cafés, bars and nightclubs for evening entertainment, as well as stores, museums, and art galleries (website, Phone: +354 561 1200). 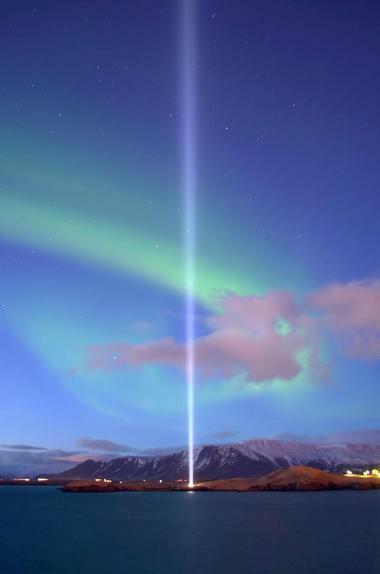 The Imagine Peace Tower (Friðarsúlan, meaning "the peace column") is a memorial of light erected by Yoko Ono in honor of her late husband, John Lennon. Located on Viðey Island in Kollafjörður Bay, the memorial consists of vertical shafts of light projected from a white stone monument. This iconic statue has the words “Imagine Peace” carved into the stone in 24 languages. The base of the tower consists of a 10-meter wide wishing well out of which 15 powerful shafts of light shoot vertically up into the air. Ono gathered over one million written wishes from people around the world which are buried under the tower. 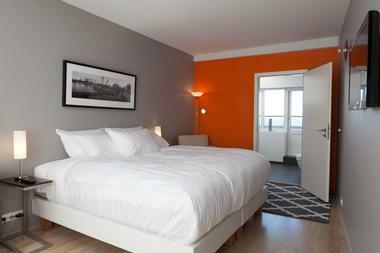 Located just across the street from Reykjavik’s Hlemmur bus station and a short walk from the famous Hallgrimskirkja, Hlemmur Square Hotel is a modern 1930s hotel and hostel with 18 contemporary rooms with elegant décor, king-sized beds, free Wi-Fi, minibars, flat-screen TVs, and private bathrooms with luxury bath products. Half of the hotel rooms have balconies and mountain or city views. Dorms have blackout curtains and lockers. The hotel has its own restaurant, which serves traditional Iceland cuisine, as well as a library, a lounge, a guest kitchen, and a bar with live music and an exceptional selection of beers from around the world. 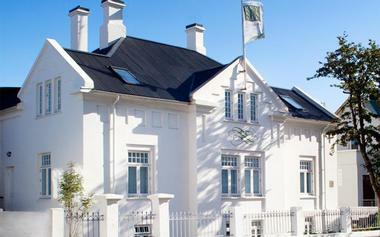 Laugavegur 105, 105 Reykjavik, website, Phone: +354 415 1600. 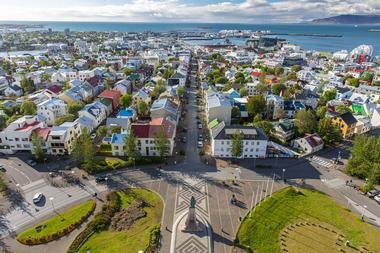 Discover the beautiful town of Reykjavik on a free walking tour around the old city center. Tours are led by university students with a passion for the city and meeting new people, and tours are filled with exciting sights, sounds, and facts. Tours begin at the little clock tower on Laekjartorg Square and continue for about an hour, visiting interesting attractions such as the Althingi Parliament, the Old Cathedral, Hallgrimskirkja and the magnificent Harpa Concert Hall, among others. Learn about the history and culture of the city through its beautiful architecture and old buildings, its famous Vikings folklore, and the city’s arts. Tours are held every day in summer and only on Saturday afternoons during the winter months, and while tours are free, donations are welcomed (Phone: +354 845 2204). 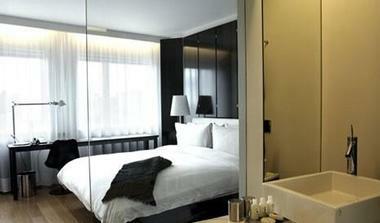 101 Hotel is a luxury hotel located in the city center of Reykjavík, boasting a contemporary lounge, restaurant and bar, stylish accommodations, a full-service spa, and an array of five-star guest facilities and amenities. Guest suites are modern havens of glass, chrome and wood detailing, with king or queen size beds dressed in crisp white linens, spacious en-suite bathrooms with soaking tubs and walk-in showers, private balconies with beautiful city views, and modern amenities, including free Wi-Fi, deluxe bath products and docking stations. The beating heart of the hotel is the casual 101 Restaurant and Bar, which serves an innovative and creative menu of delicious local and international fare, as well as handcrafted cocktails, fine wines, and spirits. Facilities at the hotel include a state-of-the-art fitness center, a full-service spa with steam bath and Jacuzzi, in-room massage, and full concierge services (website, Phone: +354 580 0101). Founded in the 1970s, the Icelandic Opera produces a versatile program of both renowned and new musical performances and concerts, ranging from Mozart and Verdi to new works by Icelandic composers. Housed in the new Harpa Concert Hall and Conference Centre in the center of Reykjavík, the company has a thirty-year history of over 80 productions. 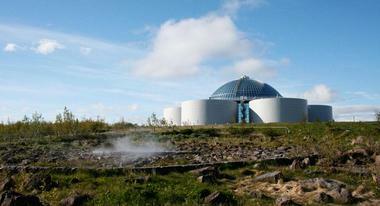 If you are looking for romantic date night ideas, watch a performance by the Icelandic Opera. Currently under the guidance of Artistic and General Director Stefan Baldursson, the Icelandic Opera places emphasis on local Icelandic artists in its productions, with the occasional appearance of foreign artists and visiting singers. The opera currently produces between two and four operas or other musical events each season (Phone: +354 511 6400). 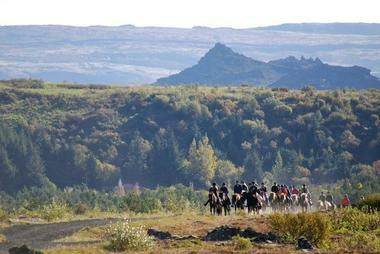 Experience the breathtaking beauty of Reykjavik and its surroundings on a guided horse tour with Ishestar Riding. Situated 15 minute from the city at the Riding Centre in Hafnarfjörður, the center offers single and multiday tours to some of the region’s most beautiful areas. The center is home to over 50 horses in the winter months and more than 100 in the summer and tours are held on a daily basis, with a variety of levels of rider abilities. Test the strength and endurance of a plucky little Icelandic horse on a Vikings Tour, which takes experienced riders across rugged lava fields, the Kaldá River, around Mt. Helgafell or into Heiðmörk Nature Park. Or if you’re a beginner rider, try the Lava Tour where you ride through lava fields and beautiful green hillsides on natural paths and trails (Phone: +354 555 7000). Iceland Fishing Guide is all about fishing, offering guided fishing tours into some of Iceland’s most beautiful lakes and rivers. Conducted by experienced and knowledgeable anglers, tours can be arranged for a day or longer, according to your personal requirements, and are offered for all levels of angler, from beginners to experienced fishermen. 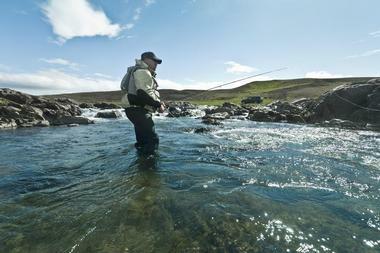 Iceland Fishing Guide offers fly-fishing, spin-fishing and bait fishing tours, as well as ice-fishing for Atlantic salmon, brown trout, and arctic char. Tour destinations are off the beaten path, promising absolute serenity and beauty with incredible natural scenery such as the Hraunsvatn Lake. Ice fishing tours are held at the Kringluvatn Lake, which is a frozen plateau about an hour away from the city and requires jeep transport, which can be combined with other methods of transport, such as hiking, snowmobiling or horseback riding if required. 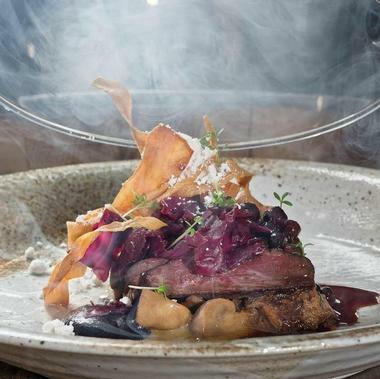 Fusing age-old Icelandic tradition with modern tastes and flavors, Grillmarkadurinn (The Grill Market) Restaurant focuses on giving guests a farm-to-table culinary experience that reflects Iceland´s pristine natural environment. Products and ingredients are sourced from local farmers and create a menu that is innovative and creative with delicious meals made from locally sourced lamb, beef, trout, quail, skyr, and honey. Dishes are cooked in a special way using fire, smoke, fire logs, and coals to create a crispy outside, while the inside remains succulent. The Grill Market offers a delicious tasting menu, which consists of a selection of dishes chosen by the chef and is served family-style for the whole table to enjoy (Phone: +354 571 7777).